The dance school is located in street Consulado in Central Havana and just 3 min. by foot from Paseo del Prado and Old Havana. The rooms of the school are optimal for dance lessons, as they are very spacious and have good ventilation. 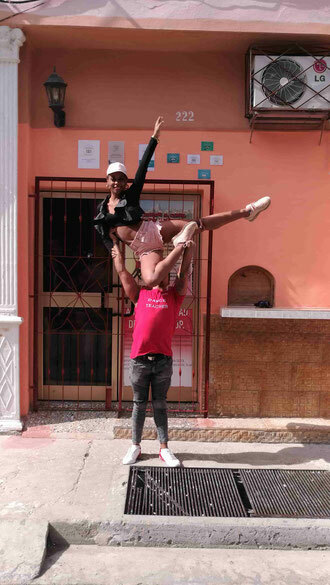 Our friend Alexander offers a B&B or homestay (called casa particular in Cuba) in the house just besides the dance school 'Salsabor a Cuba'. It is located in street Neptuno # 560, between the streets Escobar and Lealtad, first floor, Central Havana, Havana, Cuba (10 min. walking distance from Old Havana). If you are interested in receiving more information on prices and availabilities, you are welcome to contact us (mail: CasaSolySalsa@gmail.com). We will also be pleased to support you by recommending rooms in other casas particulares or apartments close to the dance school.